Car transactions have infamously been made into a seemingly strenuous and complicated process. This doesn’t have to be the case with your warranty. The extended warranty offered by Mercedes-Benz dealerships is nice and simple. No deductibles or prior approvals are required, allowing for a simple transaction. Instead of loads of confusing paperwork, expect a quick and easy protection process. 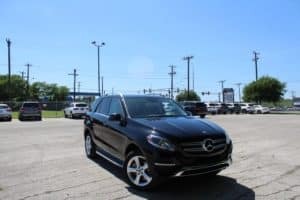 Unlike other car warranty programs that put the warranty into the hands of a third party, Mercedes-Benz directly handles the issues that may take place with their vehicles. For as long as the company stands, you can trust them to keep your warranty needs insured and accounted for. Another benefit of a Mercedes-Benz extended warranty is the wide range of eligibility. In addition to new car coverage, your vehicle doesn’t have to be brand new. Four years of ownership or 50,000 miles, and your car qualifies for protection. Even if you change your mind about your purchase, the warranty is refundable with your return and transferrable with your sale. Accidents happen, and unfortunately for car accidents, there’s a lot of room for error when it comes to repairs. By entrusting your car to a third-party company, you run into many risks. What if they use the wrong parts? What if they aren’t qualified for your vehicle? When choosing your Mercedes-Benz extended warranty, you do not have to worry because they’ll know exactly what they are doing with the repairs. They’ll use genuine parts and state of the art equipment, putting your car in good hands. This warranty program is filled with benefits because it is tailored to you. 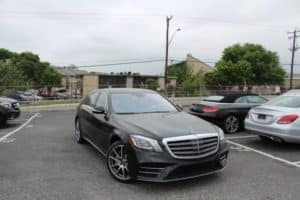 Rather than having a standard plan, Mercedes-Benz offers multiple plans that extend over differing time periods and mileages. At the end of the day, understanding your car’s warranty is guaranteed to help keep your mind at ease when it comes to the financial ramifications of your investment. The world around you can seem so overwhelmingly fast-paced and dynamic. As a result, understanding the protection your warranty can provide you can do wonders to boost your confidence and enjoy your new car. Find out more information from your Mercedes-Benz dealer in San Antonio, TX.